Hmmm, that is at about the same latitude of the place in Texas I am considering. 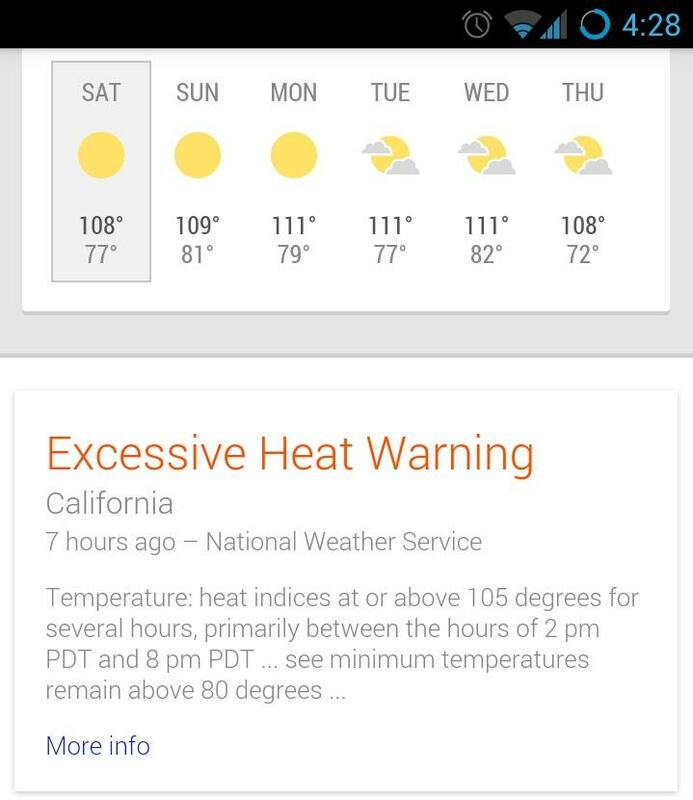 I really don't know what to think, everybody says it's hot but I don't know which is worse 115 degrees with no humidity or 90 degrees with 80% humidity. At least in hot dry climates your sweat dries faster. I lived on Bainbridge Island for a few years and loved it. My wife does not do well without sunlight and nicer weather so Washington is kind of out of the question. Seattle is a great place though, I really need to get up there to visit my grandmother. Come to the other side of Washington. Get all four seasons and not nearly as much rain or traffic or cost of living. Here's a good site for comparing features of two cities. Thanks I will definitely be checking that out. love it when someone from Arizona says "but its a dry heat" -so is a friggin pizza oven! 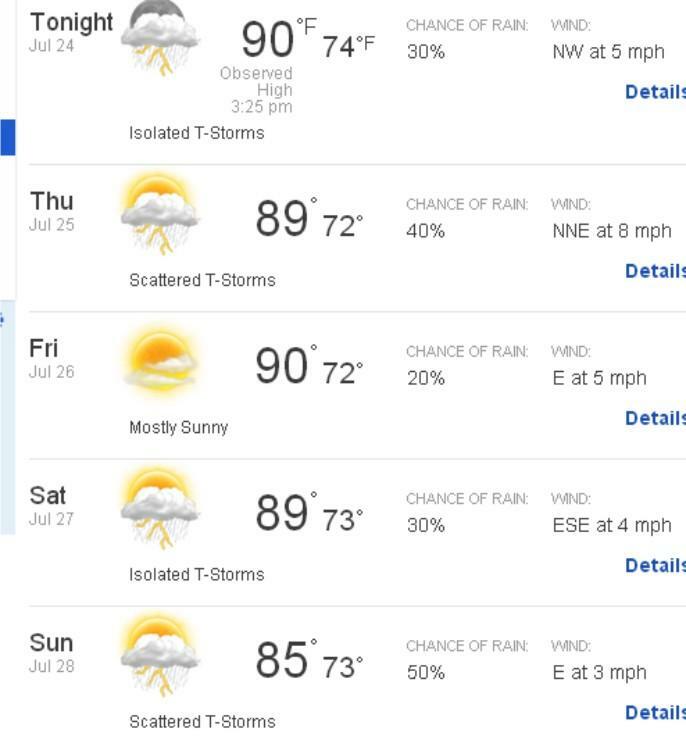 Any want to trade weather? I'll throw in cash on my end. Thanks Ted, I'm good here - thrunderstorms coming thru again and maybe tornados but not that hot! We hit low 100's on occasion but nothing like that. Sorry no trade here. Man it was hotter then Hell here today 77 degrees with a nice breeze I had to turn on my celing fan........ I hate hot weather. That is the benefit of living almost 3000 feet above sea level but we pay for it sometimes during the winter. The boyscouts are having their first national jamboree next month with about 50,000 scouts 2019 is supposed to bring in near 100,000 scouts ,parents and staff they saw a good thing here to build the multi million dollar camp . South Carolina is #23. Finally something we're not in last place on. Sorry about California but I keep watching the news for your state to slip into the ocean with all that debt weighing it down. Yes! did you read the little explanation on California? It explains how they decided to fix our budget by taking the money from business owners! I think the "Terminator" terminated your economy a while back and I don't know what if any thing can be done in the short term to fix it. You guys in the Southeast have humidty that makes it feel a lot hotter than the temps show. That's no lie about the humidity. Lately walking outside is like trying to breathe inside a fish tank. Miserable is a good descriptive term. We're sitting at 14% humidity today. Spokane made Outside Magazine's best towns of 2013. I am a big fan of Washington but my wife isn't. She is largely affected by gloomy, dark or overcast weather. 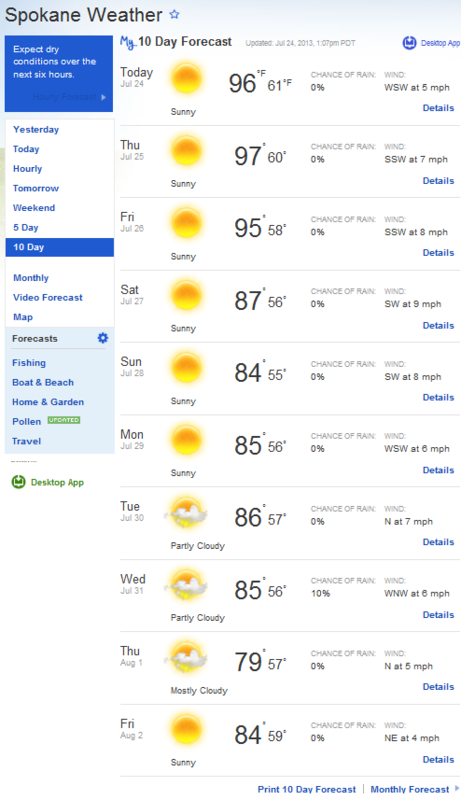 I prefer clouds and rain over death heat any day though. We pushed back the move to January to give us more time to look around. Kingwood, TX is still number 1 on the list mostly because my wife really liked living there. I have never been but think there is probably a better choice somewhere. Ted, tell her that's the other side of the state that is dark, wet and gloomy. We are on the desert side of Washington just headed into the Rocky Mountains. Looks like a very friendly place.